It’s always fun to be a supporter of England, isn’t it? Disastrous in the World Cup, show up Australia in the Ashes, convincingly beaten by Pakistan and now, in the first test against Sri Lanka, decimating them in just three days, winning by an innings and 88 runs. Can’t beat a bit of consistency. Still, England will be thrilled with how the opening test went – but it’s not been great new since, having lost Ben Stokes to injury. 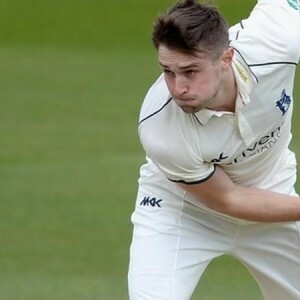 His replacement in the second test, Chris Woakes, certainly wanted to show what he was capable of: after finding out he would replace the injured Stokes, he took a whopping 9 wickets in just 36 balls for Warwickshire, bowling out Durham. If he can replicate that for the test series, Sri Lanka will stand almost no chance – especially after the confidence must’ve been knocked from the way they were defeated. It will be interesting to see how Sri Lanka responds in the second test at the Emirates Riverside – in fact, they must if they want any chance of winning this series against the English.